SCENES of extraordinary emotion descended on Westport last week, following the untimely death of Claire Kavanagh (nee Molloy), and the funeral she herself had organised. After a long and valiant battle with cancer, Claire slipped peacefully from this world shortly after lunch-time last Wednesday. 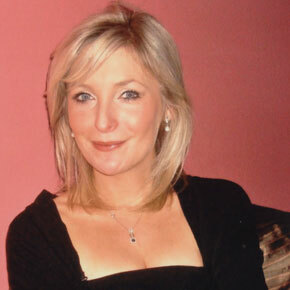 Surrounded by her husband Mark and family members and dearest friends, Claire passed away in the home she and Mark shared in Rosbeg in Westport, as the sunshine of the first day of summer bathed her room in an almost spiritual glow. Just eight weeks previously Claire had awoken in that same room at 5am with a headache, and would learn within days that her cancer had returned, and that this time there would be no way back. Thus began a remarkable journey of acceptance and peace that has left an indelible mark on anyone lucky enough to have known Claire, or been close to her passage into the next life she so dearly believed in. Claire, who would never live to see her thirty-fourth birthday on May 14, was predeceased by her beloved mother Geraldine in 2008, and is survived by her husband Mark Kavanagh, father Matt Molloy, brothers Peter and James (Jimmy as he is affectionately known), sister Niamh, parents-in-law Marion and Noel Kavanagh, sister-in-law Sarah Kavanagh and her husband Ronan Clancy, who as Claire’s doctor kept a near constant presence at her bedside and provided great comfort to her, brother-in-law Noel Kavanagh Jnr, sister-in-law Laura Kavanagh, extended family and a large legion of friends. However, it was the way Claire dealt with her fate that inspired all who knew her, and during the homily at her remarkable funeral Mass, Fr Pat Donnellan, who had married Claire and Mark in June 2011, reminded the capacity congregation of the extraordinary nature of the young woman, both in life, and in preparation for death, that they had gathered to mourn. Quoting from a letter Claire had written to a friend in recent weeks, Fr Donnellan moved all present to tears reading her words. “As for me now, I can honestly say I’m really accepting and coping with things exceptionally well. I suppose I’ve had three years to process all this. And also I feel like I have had a really great life. I have absolutely no regrets and there is nothing I regret not doing. I have seen and done so much and have married the man of my dreams and had the best five years ever with him. I cannot miss having children and would feel terrible if I had any to ‘leave behind’. Throughout the ceremony the most beautiful and appropriate music, arranged by Neil Martin, was played by some of Ireland’s finest traditional musicians, with members of The Chieftains, Planxty and The Bothy Band collaborating with Sharon Shannon, the Ní Dhomhnaill sisters and others, to create an ethereal atmosphere that captured the hearts of all who had gathered in solidarity. During a beautiful post-communion flute solo, Claire’s father Matt Molloy found the strength to deliver his own musical tribute to his daughter, as his haunting melody lifted, like her enchanting spirit, towards the heavens. For him, the performance was particularly poignant, as it would have brought the memories rushing back of having played at his late wife’s funeral in the same church, less than five years earlier. With raw grief in his voice, Claire’s heartbroken husband Mark then took to the altar, in an extraordinary show of resolve, to speak of his immeasurable loss. “What can I say about Claire?” he began. “The day I asked Claire to go out with me she said; ‘it’s gonna be a long journey’ because her mam was ill. I told her I was up for it. Neither of us knew then just how long or difficult that journey would be, and never for a moment did we imagine that it would lead us here today, after just five years together, two of them as husband and wife. “She was beautiful, inspiring, my wife, soulmate and best friend, but she was also any or all of those things to anyone lucky enough to know her. “Pain, discomfort, frequent trips to hospital, treatment year after year and months of tough recuperation since she was diagnosed in December 2009. None of it was ever a problem, Claire saw the good in every situation. With the congregation numbed by his courage, Mark went on to speak of Claire’s knowledge over the last 40 months that there was no cure for the strain of cancer that she had, but that she ‘never gave up the fight and never stopped smiling’. He spoke of Claire’s affection for their dog ‘Sammy’, whom she doted on like the child fate would conspire to deny them, and of their simple dream to do ‘what any young couple do’ - ‘continue in our careers, raise a family and grow old and happy together’. “It has been an emotional time and I hope Matt and Claire’s family and friends can find strength in how she dealt with it, as I know I have. Up to the very end Claire was thinking of everybody else. She had me racing around organising stuff, even as her health deteriorated, she had everything organised so those left behind did not have to worry about anything,” he explained. “And now those of us that are left behind must try and rebuild our lives as Claire wished us to. In life she was an inspiration, in death she will be an angel, and Claire will never be far from our thoughts. It might feel like we will need a miracle to get through this, but the miracle has already occurred, it is what Clare has shown us in her spirit. “She has given us true inspiration in her conditioning of her family and friends for life without her, and though we might not yet know it, that is the greatest miracle of all of this. That is the miracle of Claire,” he concluded through tears, as the church erupted into heartfelt applause. Fr Donnellan, who was assisted during the funeral by Fr Charlie McDonnell, Fr Michéal MacGréil, Fr Tony King, Fr John Kenny, Fr Karl Burns, Reverend Archdeacon Gary Hastings and Fr Fintan Lyons from Glenstal Abbey, spoke of how all those close to Mark and Claire are now better people because of their example of unselfish love. “Having faith in the goodness of people is the same as having faith in God,” he said. “Claire’s bravery in the face of bad news was unbelievable. It was an amazing spiritual journey. Her acceptance of death and the ability to talk openly about dying was a reality check that we all need from time to time. “My younger brother works with cancer patients every day, and oncologists like him tell us there is a 70 per cent cure rate. The Molloy family know that percentages don’t matter when you lose a second loved one in your family. Cancer can be very unforgiving but it can bring out extraordinary resolve in people. From somewhere, there comes peace of mind and the grace to cope. The readings, about friendship and love, were those from Claire and Mark’s wedding day, and were chosen by Claire for her funeral. The prayers were personal and fitting and the gifts brought to the altar represented various elements of her life, from her spirituality to her love of nature and her job as a teacher. Earlier, Father Donnellan had spoken more on the person Claire was, describing her as every parent’s dream child. “Caring, kind, fun-loving, interested in school, interested in music, Claire loved having fun holidays in Achill learning music at Scoil Acla. She had a great love for nature and animals. A graduate in Irish from NUIG and also as a teacher from Mary I in Limerick, Claire loved her holidays, she loved her family, she loved her friends,” he said. “I quoted it at the funeral Mass for her mother and again for Claire and Mark’s wedding Mass - because it is equally appropriate for the happy day and the sad day - the words of the composer Franz Peter Schubert, who died aged 31. He said: ‘some people come into our lives; leave footprints on our hearts; and we are never the same’. That was most certainly true of Claire Kavanagh. As Claire’s coffin was brought down the aisle, as it had been for her mother Geraldine, to the hauntingly lamentful tune of ‘Mo Ghelie Mar’, former teaching colleagues from all the local primary schools, and many of Claire’s pupils formed a guard of honour and flanked the hearse as the cortege slowly made its way towards her final resting place. Claire was laid to her eternal reward alongside her much-loved mother, in Aughavale Cemetery on Friday afternoon. In death everybody is much loved and revered, but never have such plaudits rang so deservedly as when last week, on a beautiful first day of summer, Claire Kavanagh slipped peacefully from this life. To have been so loved and regarded in life is a fitting tribute to an amazing person, but to have been so inspirational through illness and in death, is something on a different level altogether. That is where Claire was, on a different level. To have been close by events like those of last week, so sad, yet so remarkable, was a life-changing experience for many people. Words might seem meaningless in these dark days to her husband Mark, father Matt and the entire Kavanagh and Molloy families, but if it seems that there is no consolation for those who loved her most, they should also be aware that they will perhaps, never fully comprehend the indelible mark she left on so many people. To accept death so gracefully for one so young in years, was remarkable, but to prepare her loved ones for her passing in the way she did, was truly inspiring. Her genuine concern for others, through the greatest personal adversity imaginable, is the greatest legacy of all. In return Claire was surrounded by love from her husband, family and a dedicated number of friends, loyal and unquestionably loving until the last breath she would take. The calling home of such an angel, sad and devastating as it certainly is, has never been so beautiful.